Carl Hayman has signed a new two-year contract extension with Toulon. The 33-year-old prop, who joined the club from Newcastle Falcons in 2010, has agreed to stay with the Top 14 side until 2015. 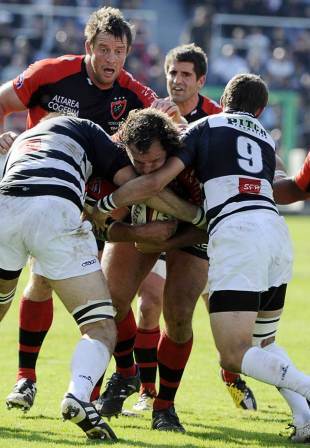 The former All Black international, who won the last of his 45 caps for his country durng the 2007 Rugby World Cup, has made 75 appearances for Toulon with his latest coming in their 62-0 thrashing of Sale Sharks at the Stade Felix Mayol on Saturday. That victory kept Toulon's star on course for the last eight of the Heineken Cup and Hayman will play a central role in their pursuit of silverware following their defeat in the Amlin Challenge Cup final last season.